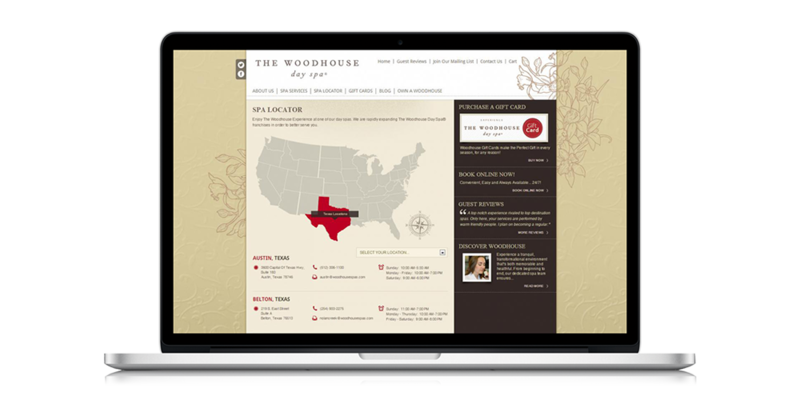 The Woodhouse had many sites for franchises, but those sites weren't unified in branding, easily updated or integrated into their spa management systems. 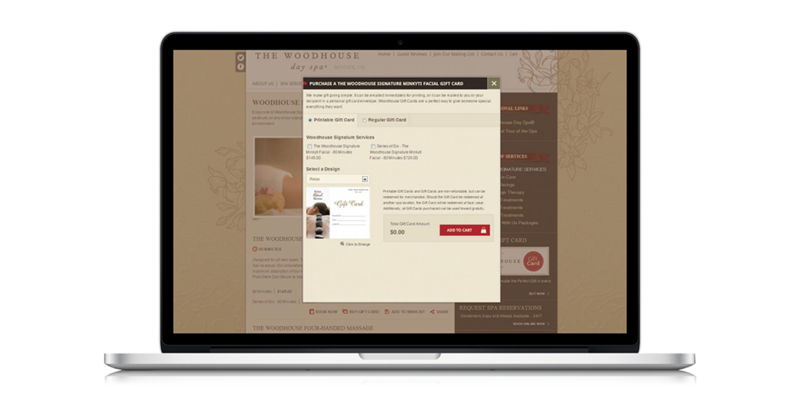 The Woodhouse Day Spa website wasn't delivering the high quality experience its visitors expected and limited their franchisees' online capabilities. The Woodhouse had no ability to make global changes, which was impacting their ability to provide consistent branding as they grew and more and more franchise sites were added. Additionally, franchise owners were unable to make changes to much of the content on their individual sites. Franchisees could not update their own blog posts, news items, pricing, photo galleries or even event schedules. When changes were able to be made, they had to go through corporate IT to edit the custom code and were subject to change fees to support that work. Because of the burden this placed on corporate resources, these updates, no matter how time sensitive, could take days. In addition, franchise owners had no ability to manage their own, local search engine optimization (SEO) efforts. They had no ability to target local markets through SEO or to leverage search engine marketing if they wished to. Though gift cards were available for online purchase, they could not be purchased through the local franchise sites. Instead, gift cards could only be purchased through the corporate site, forcing visitors to leave the franchise site in order to complete the transaction. Gift card fulfillment was not automated and required a full-time employee to manually process each purchase. Without control, integration or automation, The Woodhouse Day Spa could not keep up with its rapidly growing business. They needed a central platform would enable them to maintain and update franchise sites as well as the corporate site, and also provided the ability for franchises to manage content on each of their sites. The Woodhouse Day Spa turned to the Bates Creative Group to create a high-impact design for the new web presence and Unleashed Technologies to develop a robust platform to help them meet their objectives. Throughout the development of this platform, Unleashed Technologies worked closely with Bates Creative Group to ensure that the technology supported the design and user experience. Building on the high impact design provided by Bates Creative Group, all sites are fully integrated into spa management systems to provide a seamless experience to visitors. 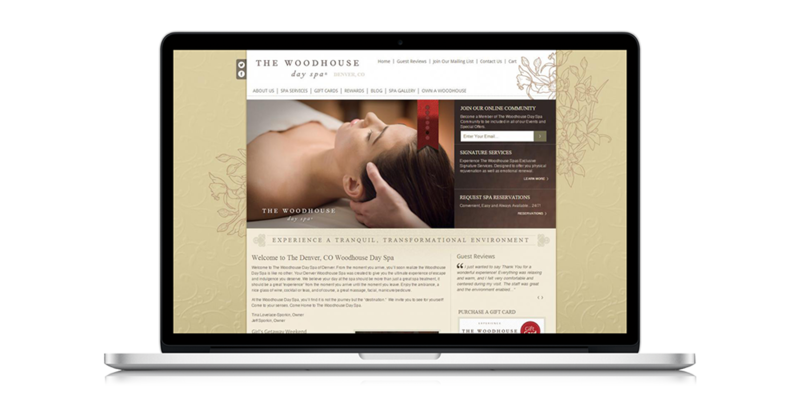 With this enterprise web platform, The Woodhouse Day Spa can now instantly create franchise sites that are consistent in branding and content, yet managed and updated by the franchisee. With this enterprise web platform, The Woodhouse is able to better engage web visitors and successfully grow the business.